Minimises set-up costs, increases economic efficiency. 2 electric or pneumatic tools (depending on version EW/DW) ready to use at any time. Integrated automatic switch-on/shut-off for dust extraction from electric and compressed air tools (depending on version EW/DW). Simultaneous dust extraction on both tools possible. Extraction channel opened by actuating a decoupled, manual slide. Centralised control of energy supplies and dust extraction. For well-organised sanding. 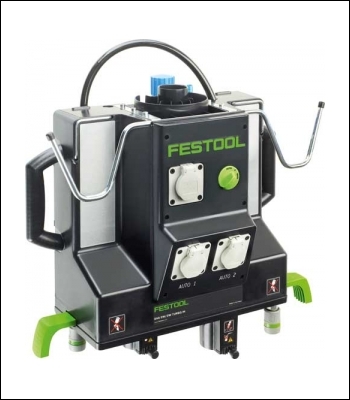 For use with Festool TURBO exhaust turbines in automotive applications.